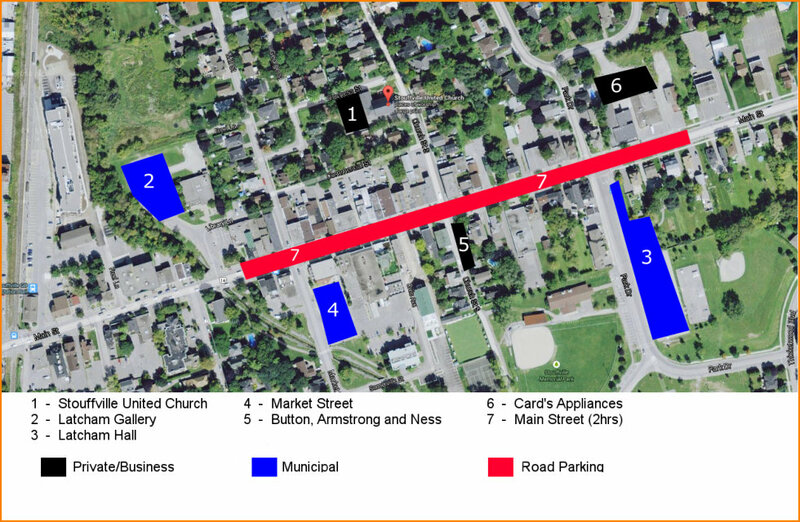 Parking at Stouffville United Church is limited but there are many parking lots within a 2 to 3 block radius. recommended to arrive early if your family needs one. (could be towed). No vehicle can be parked on or very close to the Fire Route (South entrance and either side the North entrance). may also include being towed. They can only ticket cars parked in handicap spaces and those blocking fire routes. The 3 hour maximum parking limit applies to anyone parked on the street. All entrances/exits and driveways must be 100% clear. Angled parking is for Compact Cars only.